I've written about my top five strengths that were expressed in my journey as an educator in Singapore (here). My top five strengths are Responsibility, Empathy, Relator, Restorative and Connectedness. They primarily belong to the Relationship Building domain. These are my bottom five strengths: Communication, Context, Competition, Woo and Maximiser. 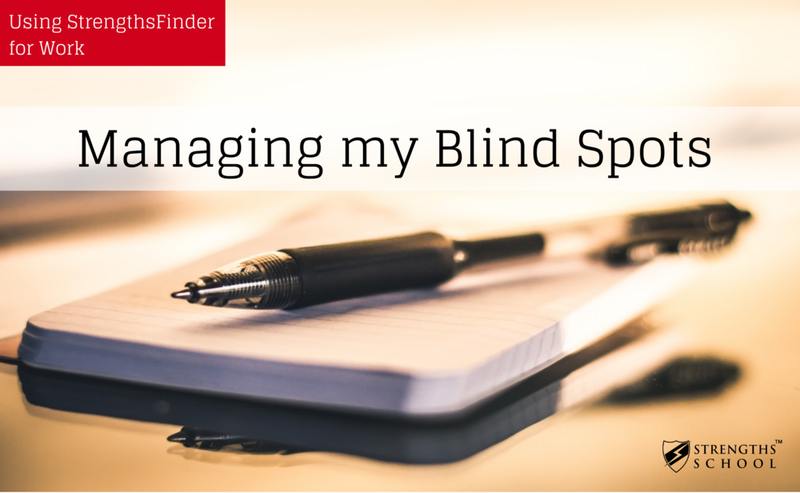 They are considered my blind spots, areas that fall out of my world view. My bottom five strengths mainly belong to the Influencing domain, one out of the four StrengthsFinder domains (Executing, Relationship Building, Strategic Thinking and Influencing). In this article, I'll be elaborating in greater detail how I've managed my bottom five strengths through interactions with my students. Preparing my students for their examinations was part and parcel of my responsibilities as a teacher. I guided them by clarifying their doubts whenever they needed. I enjoyed the learning process with them, watching them overcome their initial struggles and gain confidence. There were occasions when my students started comparing their results with others. It was always about who obtained the highest score or who was better at certain subjects. With the Competition theme as one of my blind spots, these conversations were exhausting for me to keep up. There were also some students who were affected by all these exchanges. How did I manage this despite how I felt? Amidst all that competition, I wanted my students to know that there was a lot more in life than the grades they attained or the examination skills they acquired. I wanted them to aim for self-improvement, instead of seeing competition as an external motivator to "better" themselves. My Connectedness strength was at work to manage this blind spot. I tried to make content more relevant when I had some curriculum time to spare, by deviating away from the original scheme of work and allocated pockets of time to enhance their general understanding of the world. I believed that academic curriculum should veer away from being too focused on examinations to develop students' global perspectives on different societies and cultures, and how as individuals, they could be involved as active and compassionate citizens. It was important that I build healthy and positive relationships with my students. I was interested in their passion, habits and interests that lie outside of the classroom. I wanted them to know that I was approachable and concerned about their overall well-being. However, with the combination of Relator in my top 5 and Woo at the bottom (these two strengths being polar opposites), I struggled with making small talk, even though it was the best way for me to get to know my students better. I needed a lot more time to open up to them. Being seen as approachable was a challenge. Using my Relator strength, I began to understand them and the class dynamics better through a small group of students, the class committee, whom their classmates voted for. I met them after school to find out more about the happenings between groups of students. Through such informal sharing sessions, I gradually got a good grasp of how to manage classroom conflicts and to develop a sense of class unity in the process. When the rapport had been established, I felt comfortable talking to them with the background knowledge that I could build upon to delve into deeper conversations. We talked about our anxieties and problems, in the hopes of understanding one another. Truth be told, I enjoyed having random conversations with my students after consultations, support group (remedial) sessions because of their close-knitted nature. There were also times when we addressed misbehaviour and clarified misunderstandings in small groups on the benches. Those were familiar, cosy settings that we kept going back to. One of the key aspects of being a teacher is to be engaging and clear in my communication, in terms of lesson delivery. It is important to be so because I wanted my students to enjoy learning with the best resources I had created for them. I grappled with lesson delivery at the beginning when I was figuring out my teaching and classroom management style. I was aware that I wasn’t the most engaging speaker or presenter despite honing my communication skills. However, I hoped to communicate well so that my students could understand and develop interest in the subject matter. What I lacked in communication, I made up for it in terms of quality of content, lesson materials, presentation slides, mind-maps, videos etc. I spent a lot of time ensuring that I was familiar with the content and lesson flow so that I could anticipate problems and resolve them on the spot in the classroom. My Responsibility strength also probably took over here. In fact, it was only recently that I realised there is a difference between communication as a talent and communication as a skill. A communication skill, such as the ability to project one’s voice or the ability to use the right graphics to enhance a message, is a skill set that can be learnt. However, compared to someone with the Communication talent who invests in developing communication skills, he/she will most likely outperform another person without the talent making the same investment. Understanding that I do not have the Communication talent helped me to see that I needed to find suitable ways to improve on my communication skills. I can tap on my other strengths, like Responsibility, to overcome my shortcomings. As a form teacher, I used to conduct National Education (NE) lessons with the emphasis on nation-building, shared identity and the narrative of Singapore's history. Even though I saw it as my responsibility, I felt that I was ill-equipped with the relevant knowledge to talk to and engage my students despite having the resource packages that were available for use. Being low in Context, attempts to make sense of historical facts and details stressed me out. However, it was crucial that my students grow up understanding the essence of being a Singaporean, knowledgeable about our history, the reasons why we commemorate events and remember people from the past who had contributed to the country’s progress and development. In order to ensure that I was well-prepared to go through the resource materials with them, I did additional research to understand the content better, included some case examples, my own personal anecdotes and videos. When I did that, I gained some valuable insights from the past that used to be fragments I remembered as a student. My Connectedness strength expressed itself when I saw the bigger picture. Pulling these fragments together enabled me to appreciate the beauty of history a bit more than before. As teachers, we were often called upon to nominate student leaders based on a certain set of selection criteria. Often, the student leaders who made it through the selection process were assessed based on academic performance, behaviour and their involvement in their CCAs. They were usually seen as those who exhibited the ability to lead and inspire their schoolmates. Once selected, they stood a higher chance of representing the school for activities and programmes. However, with Maximizer as one of my blind spots, I always struggled with this idea of selection criteria. How about those who are not given enough opportunities to develop or shine? How about those whose talents or capabilities are not visible to others until later than usual? Then, what about those who fall out of the selection criteria just because of their academic performance? It seemed to me that such a selection criteria may convey the message that those who were not selected were not fit to be leaders in their own right. I wanted my students to know that whether or not they were student leaders, they could take the lead, have a voice and initiate change in their own ways. My Relator strength gave me the push to ensure that my students find deep satisfaction in working together with their friends while developing leadership as they grow. Through planning events as a class, they were actively involved in their roles after suggestions were made and they voted for their choices. Then, we came to a consensus for a project on Youth Day. All of them participated and what transpired was a project that we were proud of. Before I was introduced to StrengthsFinder, I was unaware of the strengths that had played out in my daily life as an educator. I did not know why I was uncomfortable with small talk, or why I faltered in terms of communication skills. There were days when I struggled with giving equal opportunities to all students and it affected me. In retrospect, I would have better managed my blind spots within a shorter time period if I were more cognisant about my strengths. My personal development as a teacher would have been more targeted and productive. Understanding and being intentional in the engagement of our strengths in our personal and work life allows us to find enjoyment while achieve excellence in all that we do. Qiu Ting is a part of the Youth Development arm in Strengths School. She is passionate about understanding and developing young minds. She enjoys spending her time to write because it is cathartic for her to engage with her thoughts and how they wrestle with conflicts and dilemmas. She is also an aspiring freelance photojournalist, she loves travelling and capturing photographs of places to store in her memory bank.